Su Shi (苏轼​)was a writer, poet, artist, calligrapher, pharmacologist, and statesman of the Song Dynasty, and one of the major poets of the Song era. His courtesy name was Zi Zhan (子瞻) and his pseudonym was Dong Po Ju Shi (东坡居士). As a man with a great sense of humor, Su Shi often joked with his friends, and because he was very smart and well learned, he always got the whip hand over them (占上风), but Fo Yin, a monk, was an exception. 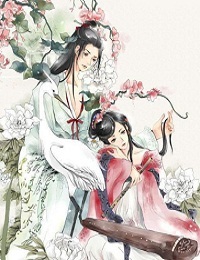 One day, Su Shi visited Fo Yin, and talked about poems with him. Su Shi said: " Master, do you know in poems 'monk' and 'bird' often come in pairs and are always in opposite positions?" (Bird in ancient Chinese is a symbol of phallus 阳具) Then Su Shi listed a lot of poems as proofs. Fo Yin heard him out patiently, and said in a quiet voice: " Sir, you are absolutely right. I, an old monk, is now in opposite position to you."